In years past, many Canadians saw their homes as a shelter of safety, yet today more than ever are willing to borrow against the equity in their homes to further their investment portfolios, get out of debt, send their children to university, make improvements to their home, or boost their RRSP contributions. 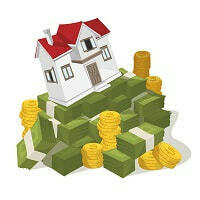 Where home equity was once sat on, today it is often used to one’s advantage. While removing equity from your home can be a good idea, you should do so with caution and fully understand the benefits and possible risks. The best thing you can do is to consult your licensed Edmonton mortgage professional and financial planner to discuss opportunities to make your home’s equity work for you. Home equity is the value built up in a home or property that represents the current market valueof the property minus any remaining mortgage payments or liens on the property. Especially here in Edmonton, Home Equity is usually rising at a steady rate. The value of Edmonton Homes is continually increasing, and so you probably have built up some home equity after owning your home for only a short period of time. Over time, property values can increase, which increases the overall value of the property. The more mortgage payments you make, the more your portion of the total value increases. You can choose to use your accrued Home Equity as collateral for a home equity loan or home equity line of credit. A Home Equity Loan is a one-time loan for a set amount that acts like any other loan. It will have it’s own interest rate and repayment requirements. A Home Equity Line of Credit (HELOC) works like any other line of credit – you can borrow money whenever you want, pay it back, and borrow again – up to the credit limit. while the Line of Credit is revolving credit at an adjustable interest rate. In Canada, you can access up to 80% of your total home equity minus any remaining owed on your mortgage or additional liens when approved for a Home Equity Loan. When approved for a Home Equity Line of Credit you can borrow up to 65%, but remember – your outstanding mortgage balance + your HELOC cannot equal more than 80% of the value of your home. Loan or Line of Credit: Which is Right for Me? Not all financial institutions offer home equity options. Luckily, Dominion Lending Centre’s Mortgage Force in Edmonton deals with over 250 lenders nationwide, we can help find you the best option, and the best rates – all for free! If you’ve been considering using your Home Equity but want to explore your options to ensure you make the right decision for you – contact The Mortgage Force Team Today! Drop by our office on the south side of Edmonton to speak with one of our mortgage specialists.